I’ve been a Julep Maven for several months now and I LOVE it. The nail colors are stunning and the nail polish itself is some of the best available. It goes on smooth and lasts longer than most of the polishes I have. I’m wearing Dawn right now. A gorgeous shade of yellow for the ‘It Girl’. I love having so many colors available to me and I’m always so excited to open up that purple box to see what’s inside. Julep isn’t just about nails. They have makeup, skincare, lotions and other products to check out. 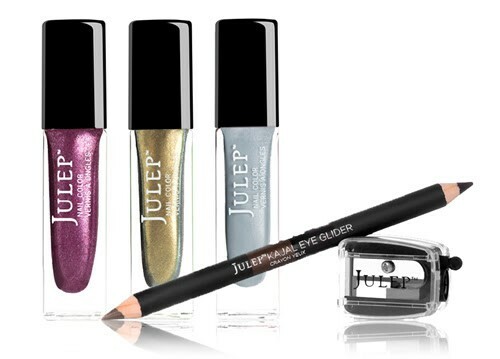 Julep is running a summer promotion right now that I had to tell you about. It’s their Summer Nights Welcome Box, which is a 4-piece set valued at $60 and it is FREE for new Maven subscribers. All you pay is $2.99 for shipping!